VisualEyes is an online tool developed at the University of Virginia. It allows you to combine images, maps, charts, video and data into interactive dynamic visualizations. 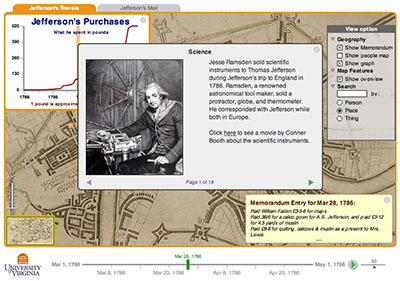 The examples offer multiple map layers, charts and of course a time slider to navigate through time. Kudos to radek at gis.stackexchange.com.